Last step for “Interculturality & Mobility” in Cyprus! 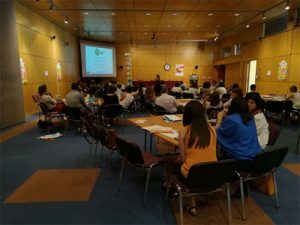 The fourth and final meeting of INTERCULTURALITY – MOBILITY project took place on June 28th and 29th in Nicosia, Cyprus at the premises of our partner MMC. 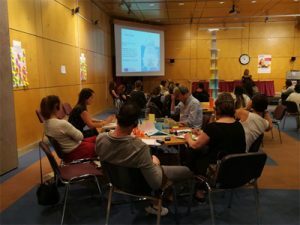 Eurocircle coordinates this strategic partnership (key action 2 of ERASMUS +) of 2 years (01/10/2016 to 30/09/2018) which brings together 5 European partners CESAT and ERIFO in Italy, MMC in Cyprus and RINOVA and EAL Academy in England . The toolkit that highlights the 10 top skills of the VET practitioners to develop mobility for more and more mobile students. 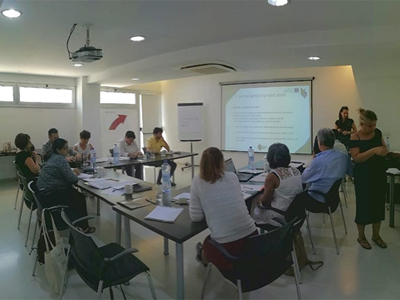 The second day was dedicated to the last meeting of the partners: finalization of the productions, translation of the tools in the national languages, transformation of the training in ebook for a better exploitation. The partners also reviewed the products to be able to control the quality and agreed on the exploitation strategy of the results for better impacts in the medium and long term. The final report will be delivered in November to the National Agency Education and Training of Bordeaux, France. To be continued ! The training ebook will be available on the project site as well as partner sites in the autumn. ← EURO-IVET – last transnational meeting in London!